After critically acclaimed runs in New Zealand and at the 2014 Edinburgh Festival Fringe, The Generation of Z: Apocalypse is a high-velocity theatre experience being brought to a purpose-built venue in East London from 4th April. The world of The Generation of Z: Apocalypse unfolds within a purpose-built, labyrinthian venue in Dept W on Mile End Road in Whitechapel, London. The former Wickhams department store is an iconic building in the heart of East London, with its basement spanning over 25,000 square feet. It is here that audiences must attempt to navigate their way through our apocalyptic wasteland. Director Michael Hurst chatted about the production in our exclusive interview with him. Born in Lancashire England, Michael moved to New Zealand when he was seven years old. He has many television, stage and film credits to his name. 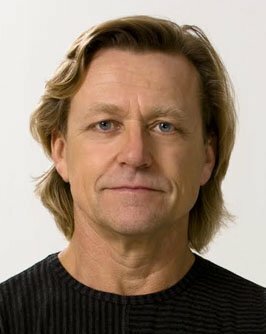 He is probably best known internationally for playing Iolaus in Hercules: The Legendary Journeys and companion series Xena: Warrior Princess. He also directed the popular Starz series Spartacus: Blood and Sand. A lot of the reviews have said “immersive theatre into overdrive”. “Video game, only live.” It has those qualities. There are choices where the audience can affect the outcome of scenes which is quite a new thing. It flows very easily depending on which choice they make. In your previous runs of the production did any in the audience return to take part again? Michael Hurst: Yes they did. There are four storylines in this particular iteration. Some of them come back to explore a different storyline. They may have been in one situation where the choice was made and they want to go back and see if they can affect the other civilians in the room to make a different choice. Just about half of the audience come back again. How does this immersive theatre compare with others of its genre? It’s the fact that you aren’t just an observer. Perhaps this really is immersive theatre. The generation we are kind of aiming at around the 20-35 year olds, or something like that. They have experienced video games and thrill rides and places like that. This has all of those qualities but in the centre of it there is real drama and real theatre going on where actors are performing characters that have major predicaments. They have choices, real issues and relationships that play out in front of the people in the room. People are used to seeing things in great details so we make every effort for it to seem like a real place with real things happening. Do you think we are at the beginning of a new era for theatre? In a way I do. There is a generation that are looking for a new experience and we are offering them an immersive theatrical experience that is narrative driven. I think it might be a shoehorn into more traditional theatre. We bring people in that have never even thought of going to the theatre before. It’s in the middle of an adventure having a theatre experience. What training do you give for the infected? We have to train them how to look infected in that sort of way. But also they get shot and killed in various ways so they have to learn to be convincing. They also get to wear advanced prosthetics. This goes back to the issue of reality.We do workshops with them, teaching them how to make stunts look realistic. We have very good prosthetic and special effects people. The thing has a feeling of being in an action movie. Where do you see the future of immersive theatre? I think there are lots of opportunities. It is situational. What makes this show work is the crisis which it is based on the plague of the undead, the infected. It is a post-apocalyptic world. That crisis drives everything with civilians in the environment. So it depends on what type of crisis you can precipitate. Coming up with other ideas to drive an audience to a narrative, especially a sizeable audience. I think there are lots of opportunities but I have yet to fathom exactly what they are. What is special about this genre? People that are older and are more traditional theatregoers are fascinated by how this works. Directing this I have to make sure that the scenes and the drama actually works. In that sense there is no difference with an intense scene in a play and an intense scene – we still have to deliver that high-octane acting. What makes this particularly special is the visceral thrill of it. I love it. Any theatre that I do I like to really have a physical and visceral quality. If someone in the audience pays £20 then you need to give them £30’s worth. I feel very strongly about that. I watch those that come to this show and they shout, scream, gasp and laugh. They do what they are told by soldiers. It’s fascinating to watch that interaction and see them all enjoy it. I don’t think anyone comes out of this in anyway disappointed. What are you aiming to give the audience? We need to give them a thrill ride, food for thought, giving them moral choices to make. Do we kill this person or not? Do we sacrifice the one for many? Also, generally what would it be like? I guess we want to hit them on all levels. At the end of the day like all theatre you want them to have a really good experience. And hopefully to want them to come and see more, which might not be immersive. Maybe encourage people to come and see some Shakespeare for example. Have you thought of doing an immersive Shakespeare? I have and it would be interesting how you would cast the audience. I know Punchdrunk did Sleep No More. But with our style it would be very tricky. Maybe looking at the Macbeth battle scene you could have Macbeth shouting at the audience as soldiers. But how would you have them listening in on Lady Macbeth with her famous speech? I am not sure what the audience would feel they were, voyeurs? In this version they are the survivors of a holocaust and that really gives us a reason to be there. So they are not voyeuristic or passive. They are stuck with us and we have got to take them through this facility. I don’t know how you could do a Shakespeare production that way. It is a conundrum but not to say that it can’t be done. The thing with this production is that it is tailor made. We take the audience from A to Z through this experience and it is completely tailored for them. Is there a danger of it becoming too real? There are people that come to our shows and get genuinely scared and if it gets too much we have a fail-safe safety mechanism in place where people can leave at any time. At all times even if it feels dangerous, dark and dirty – audience safety is paramount. Performances from 4th April and booking to 5th July what next for the production and for you? For me, I have got to go back to New Zealand where I am directing some more television and theatre there. We are talking about taking this show to America next year but that’s still under discussion. A lot of places are interested because it of course appeals to a huge number of people. What we call the ‘experience’ generation. They are everywhere, in France in Germany, so it could be global who knows? We want to get this one really singing and then see what happens. It is 2015. London has fallen. The deadly Z virus is transforming the global population into a rabid horde of the infected. With societal structure collapsing, humanity is faced with a desperate battle for survival. The Generation of Z: Apocalypse is the immersive live experience that puts you squarely into the dark heart of a zombie massacre. With chaos unfolding around you, prepare to be thrust into your very own action movie where your choices directly influence the show’s narrative and outcome. Forget sitting down; this is multimedia storytelling on steroids, with no fourth wall and no interval. Every choice is life or death and survival is in your hands. The Generation of Z: Apocalypse is written by Benjamin Farry, Simon London and David Van Horn, and directed by Michael Hurst and Colin Mitchell. This is a The Generation of Z Ltd production in association with Riverside Studios, Andy Harries and Luke Johnson. Beth Allen and Charlie McDermott serve as producers with William Burdett-Coutts, Andy Harries and Luke Johnson as Executive Producers. WARNING: This is a promenade performance containing moments of extreme shock and tension, realistic depictions of gore and violence, and loud noises. Showtime 75mins. Not suitable for those under 16 years old. Performances from 4th April and booking to 5th July 2015. Book London theatre tickets online 24/7 for London West End theatres.